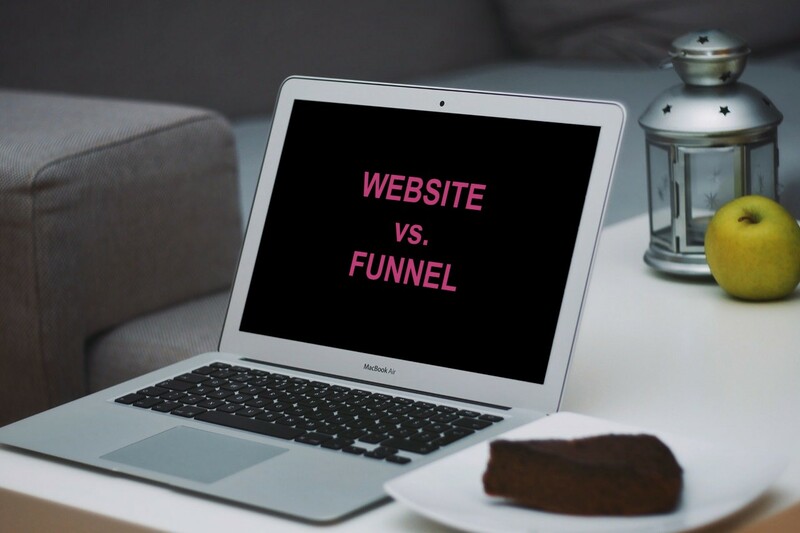 Website vs. Funnel: Do You REALLY Need Both? “I just want my website to show up at the top when people search for fill-in-the-blank so I can make tons of sales.” It’s one of the first things people say to me when discussing their website or digital marketing strategy. When I launched one of my niche websites, for church secretaries, about 10 years ago I wanted the same. Invest money or invest time. Well actually 3 ways because you could also invest both (great idea). I paid for Google and Yahoo Search ads. I paid to show up above all other search results for my main search terms and while that was going, I was creating content that would show up in search engines organically (eventually). Soon, I was showing up organically in the top 3 spots consistently. So then I stopped paying for the ads. I didn’t need them anymore. Nothing much has changed in this regard since then. If you want to start showing up in search results immediately, you pay. At the same time you use search engine optimization strategies on your website so that you also start showing up organically. … if you build it, they will not just come. They don’t even know it exists. A high ranking in Google search results won’t save a poorly built website that can’t convert. The ultimate goal of your business is to get the attention of your target audience, engage them so they become interested in you, get them to desire what you’re offering and desire it to such an extent that they take action. And it should do this continually… you want to be consistently converting lookers into new leads and browsers into buyers who become loyal fans that buy from you over and over again. …because your business is not your website. Your website is just one of your business’ assets. Granted, if you’re like many businesses, it’s the main entry point into your (potential) client’s journey with you. It’s also where you begin to answer their question of “what’s in it for me”? Your website helps your credibility and authority in your industry (by way of the content your write, the social proof you show with testimonials, trust badges and icons, etc.). Your website helps people who are searching via Google, Bing, Yahoo, etc. find you if you are using good SEO tactics. Your website also has many choices and therefore many distractions. People start reading a blog post and the next thing you know they’re on your Instagram feed and then they’re gone. You have no lead and no sale. A conversion (a.k.a. sales) funnel gives people ONE choice and NO distractions. Which is why they have higher conversions than your regular website which 98% of people leave without taking any action. A lot of people will say you can ditch your website and just use only funnels… I don’t agree. I believe both work together kinda like a wrestling tag team. Each has value and a purpose. If you ONLY have a website right now, (1) you should make sure you’re maximizing it and (2) you should give it a tag team partner a.k.a. a conversion funnel(s). …a system (a.k.a. process) that follows up with your leads and converts them into repeat buyers. Your Marketing System can, and should, include both online (a.k.a. digital) and offline marketing. With so many options available and no single right way to implement them, you can easily get overwhelmed with the process and confused by aaallll of the tech tools available. Every business can benefit from using marketing funnels. Whether it’s a Simple Lead Generation, Product Launch, Revenue Boosting Flash Sale, High-Ticket Offer Webinar or Free Challenge, the intended outcomes are always the same (1) get more leads, (2) get more clients, (3) get more sales. How “scammy” they may feel or how in tune with your ideal clients your funnels are is totally up to YOU. I look at funnels like money… they just give greater expression to who YOU are and how YOU choose to interact with your clients. 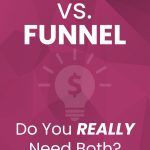 Wanna reap the benefits of using funnels in your business but don’t know where to start? Read this: 3 Critical Keys to Attract, Engage and Convert Your Best Clients with Digital Marketing.